It gives me great pleasure to announce the appointment of Abra Bush, DMA, as senior associate dean of institute studies effective March 1, 2016. Abra will have responsibility for bringing together the academic and applied areas of the Institute, and in that capacity, will oversee faculty and curriculum while helping lead the ongoing development and implementation of a reinvigorated Conservatory model that is financially sustainable, supports an increasingly selective professional program, and strengthens the relationship between the Conservatory and the Preparatory to better serve all of our students. Most recently, Abra has served as director of the Music Division at the Boston Conservatory where she has shaped the strategic vision for the division; established the Master of Music degree in contemporary music performance; developed a Student Learner Outcomes Assessment program; developed and implemented a faculty review and evaluation procedure; and developed external partnerships including those with WCRB public radio, the Boston Modern Orchestra Project, and the China, Shenyang, and Shanghai Conservatories. At the Boston Conservatory, Abra chaired key search committees and served on the strategic planning committee, the Board of Trustees curriculum subcommittee, the President’s Cabinet, and the academic planning committee for the proposed Boston Conservatory/Berklee merger. Prior to her time in Boston, Abra was assistant dean of academic affairs and director of assessment at the Eastman School of Music. In that role, she managed all aspects of undergraduate student advising, change of status, satisfactory academic progress, and the Dual Degree program. In 2010, she developed the Eastman Study Skills program to better support at-risk students, resulting in a 14 percent increase in retention rates and the six-year graduation rate for undergraduates. 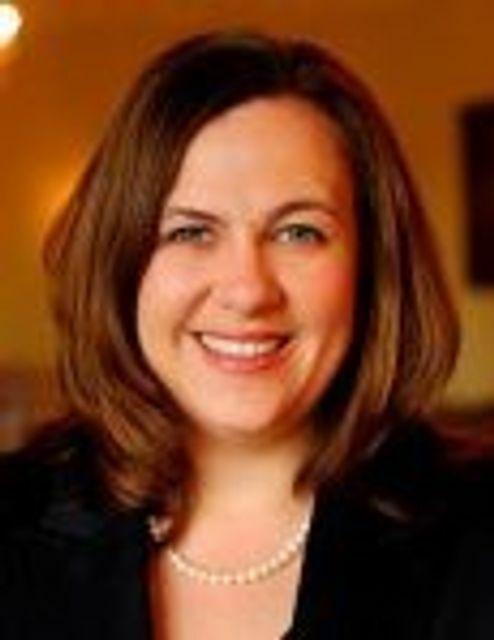 She has previously taught at Concordia College and Kenyon College, and is trained as a Title IX Certified Investigator. A soprano, Abra made her professional opera debut as Drusilla inL’incoronazione di Poppea at Opera Columbus with Boston Baroque. Her operatic roles encompass works from all periods of opera, including Paix in Les Arts Flourissants, Susanna in Le nozze di Figaro, Lauretta in Gianni Schicchi, Michaëla inCarmen, Nannetta in Falstaff, Gretel in Hänsel und Gretel, and Laurie in The Tender Land. Her singing awards include first prize in the state and regional National Association of Teachers of Singing Artist Awards (NATSAA) and semi-finalist in the national NATSAA Competition in 2004. She earned a Bachelor of Music in voice performance and Master of Music in opera theater from Oberlin College Conservatory of Music, and completed a DMA in voice performance and pedagogy from The Ohio State University School of Music. With her unique combination of musical training and academic experience as both faculty and in administrative leadership positions, Abra comes to Peabody with a keen understanding of the landscape facing conservatories today and the knowledge and skills to help shape and implement a 21stCentury vision for Peabody’s future. Her appointment completes the new administrative leadership team at Peabody and is the culmination of a robust national search. I extend my sincere gratitude to the members of the search committee and to Park Square Executive Search for their assistance with this critical process, and to the staff who will soon report to Abra for their professionalism, patience, and continued good work during this period of transition. I wish you all a very happy holiday break and invite you to join me in welcoming Abra to the Peabody Institute in March.